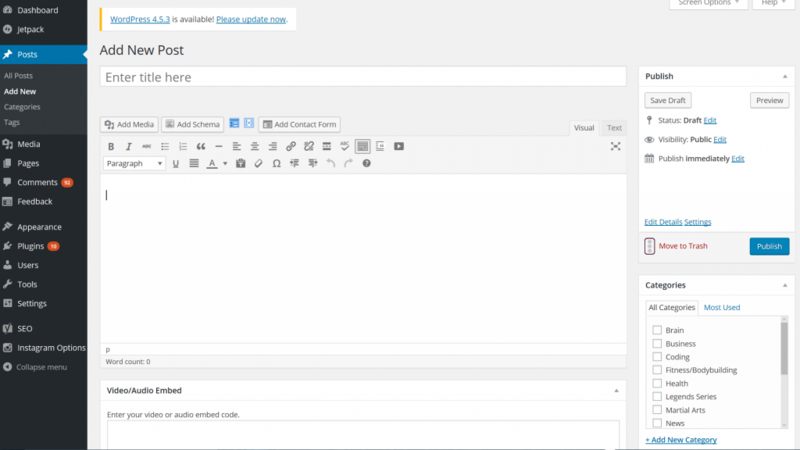 Writing a post in WordPress couldn’t be easier and as with most processes, the wonderful tool has made this as simple and streamlined as it can possibly be. In this post, we’ll look at how to write a post in WordPress from the first starting point to the final publishing and editing stages. First you need to create a new post and begin the process. To do this, just head over to www.yourwebsite.com/wp-admin and then navigate to the new post option. You’ll find this under Posts > Add New. First up, you have the title. You’ll find this right at the top of the page and this is where you can enter the name for your post. This is of course what will show at the top of your post when it goes live and it’s also what you’ll be able to see on your home page, on category pages etc. Try to come up with something that’s catchy and not too long – if it’s too long then you’ll struggle to share it on social media without it becoming truncated. Below this is where all the fun happens. 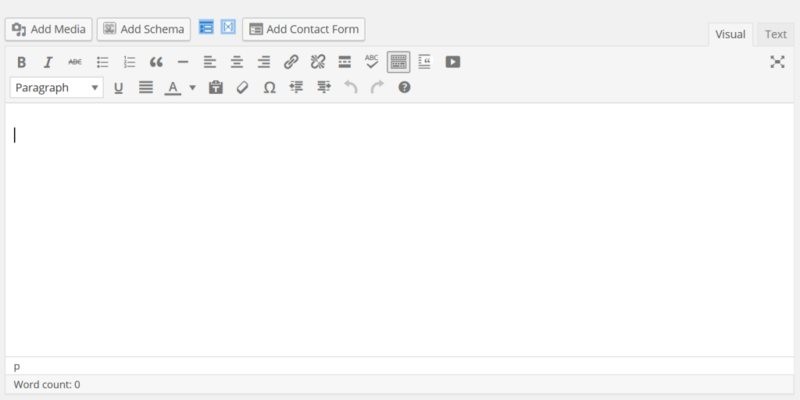 This big box is where you can write your text and select from various different formatting options. We’ll skip over that for now though and come back into it in the next section. So what else can we find here? On the right, we have our publishing options. 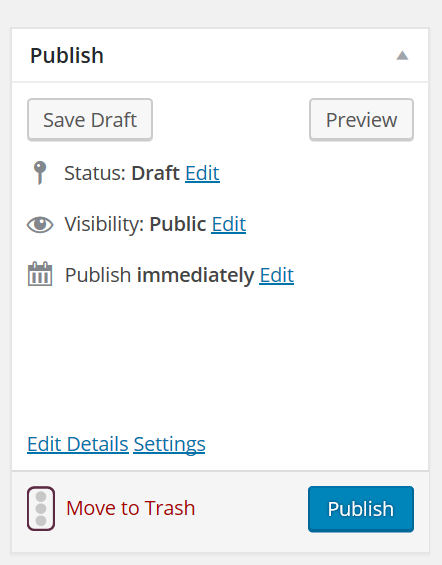 This is where we’ll be able to publish your post, save it as a draft or publicise it on social media. Click ‘Save Draft’ to save what you’ve done so far – it’s a good idea to do this regularly as you work to avoid losing what you’ve made. Click ‘Preview’ to see what the post is going to look like. Click ‘Move to Trash’ to delete the post, or select ‘Publish’ to save it so it will be live on the site. Don’t worry, you’ll still be able to edit it later on! You can also edit some options – edit whether you want to publish immediately or at a specific time and also see the list of places on social media where your post is going to be automatically publicized. You can edit these options too. Beneath that, we have our categories. These can be used to organize your blog content depending on how you want to approach it. Organizing your content into categories is often a good way to help your users find what they’re looking for and that way you can create separate ‘home pages’ in order for people see specific content relating to their interests. 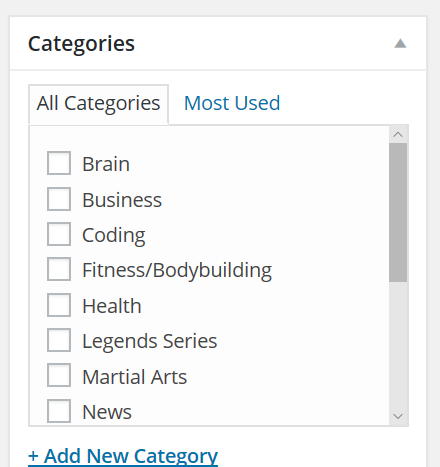 Tick the subjects you want to categorize it with and select ‘+Add New Category’ if you want to create a new one. Tags meanwhile are generally used alongside particular plugins and scripts. For example, you can opt to show only items with a certain ‘tag’ in your front page slider. This will come in handy only for certain bloggers. Next up is the ‘Featured Image’. This is the image that will show alongside your post on your home page. Depending on your theme, this image might also be at the top of the post by default and you might require it to have specific dimensions. There are more options here and as you scroll down you might find options to write meta descriptions (which show on Google and social media) or to look at SEO. These features are optional and some can be added or removed using certain plugins. The main start of the show though is the main window for entering the post itself. This of course is where you’re going to write your content and you’ll also be able to find a lot of additional options here such as controls for your formatting. One thing you might notice right away is the option to switch between ‘Visual’ and ‘Text’ view in the top right corner. This will let you decide whether you want to see a nice editor window that will behave like a word processor, or whether you want to enter theyourself in order to gain more control over the formatting. Along the top, you’ll also have the option to add media (such as an image or a video) and using this you’ll be given the option to upload a new image or to use those from your existing image gallery. Once the image is added, it’s then a simple matter of dragging it where you want it. If you select ‘Edit’, then you’ll be able to change things like the alt text, the caption and the size. You can also drag the corners to resize. Also at the top are other formatting options that are largely self-explanatory. These include the usual bold, italics, underline and header options. You can also use the link tool to link people out of your site, or you can use bullet points and indents. Once you’re ready to go, just click ‘publish’ and your post will be live! Note that you may find you don’t have all the options you want available here. What if you want to have a custom font for instance? In that case, you simply need to find the relevant plugin and then install that. If you’re not sure about how to do that, then just head on over to our other post on how to install plugins. As you can see then, adding new posts really is very easy. From there, you can edit them as you wish by going to Posts > All Posts and then selecting ‘Edit’. Have a play around and experiment with the buttons and see what wonders you can create!